The red, juicy strawberry is one of my favorite fruits! 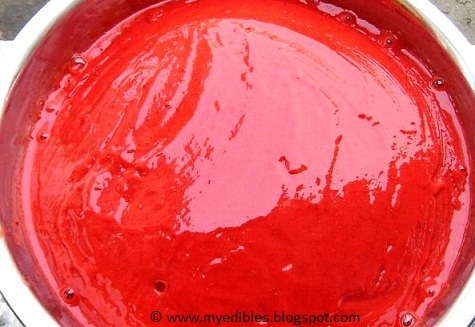 We'll learn how to make the Strawberry puree in this post. It can be used in many recipes such as the strawberry ice cream, as a topping for pies etc. 1. Wash the strawberries well. 5. Add sugar if desired. But since they are already so sweet, I don't think most of you will want it.